Teej festival being observed across the country - Integration Through Media ....! 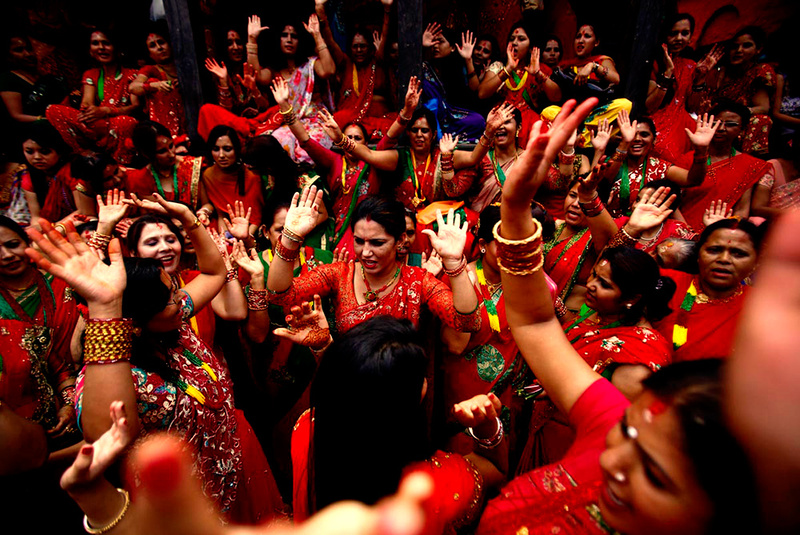 KATHMANDU: The ‘Teej’ festival, also celebrated as the ‘Haritalika’, is being observed by Nepali Hindu women today throughout the country. Women fast and wish for a prosperous life of their spouse on this festival which falls on the third dark day of the lunar month according to Nepali month Bhadau. Women rejoice with various delicious dishes known as ‘Dar’ a day before ‘Teej’ and fast on the next day as per the tradition. The three day festivity begins with ‘Dar’ on the second day of the fortnight in the month of Bhadau and is marked with fasting and cultural programmes next day. The festivity comes to an end on the fifth day of fortnight after worshiping the legendary ‘Saptarishi’ (seven sages).